* Hassle-free transportation services for the entire duration of the Fair. Enjoy complimentary transport services upon your arrival at the airport (Welcome Reception, and Airport to Partner Hotel transfers), during (Scheduled Pick-ups from Partner Hotel to Fair Venue and V/V), and after the Fair dates (Partner Hotel to Airport transfers). 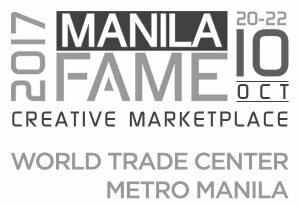 * Priority access to Manila FAME’s show features and promos. Get priority access to Manila FAME Connect, the Fair’s Business Matching Facility, admittance to exclusive Manila FAME events, and a chance to join the Luxe Escape Raffle Promo. That’s a 4-day, 3-night getaway in one of the Philippines’ premier island resorts. * Complimentary use of Manila FAME Buyers Lounge and other exclusive services. Avail of the many complimentary services Manila FAME has to offer—get exclusive access to the Fair’s Buyers’ Lounge, Health and Wellness services at the Serenity Spa, Liaison Officer/Language Interpreter assistance, and meal coupon provision for 2 days.